A blind masseur (あんま) giving a massage to a woman lying on the floor. Massage was a common occupation for the visually impaired. In the back a woman is playing the shamisen. A kiseru pipe is laying on the floor. 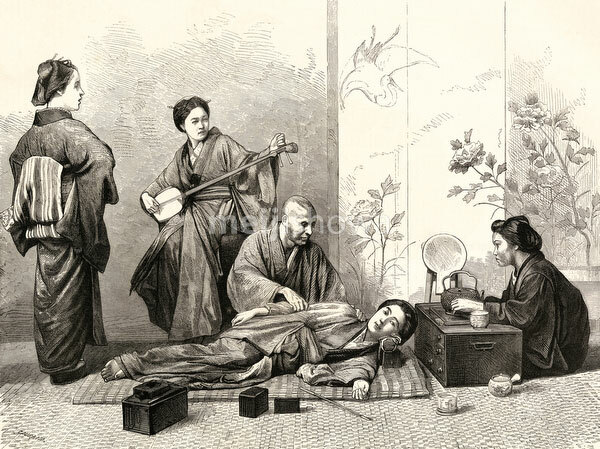 Published in the British weekly illustrated newspaper The Graphic on April 30, 1870 (Meiji 3).